On Tuesday night, members of the Leal lab constructed our first entry for the annual holiday door-decorating contest hosted by Mizzou Biological Sciences. The lab has an illustrious record in door decorating, and we hope our contribution is up to par! 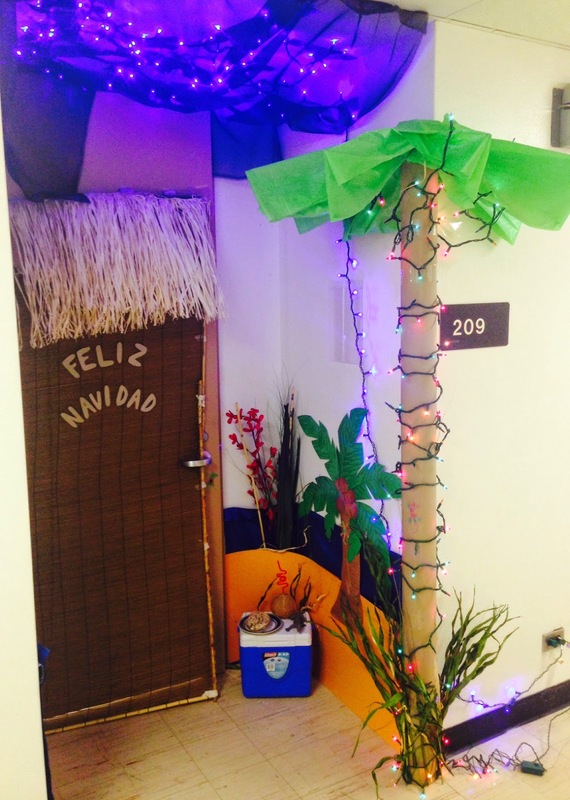 Missouri is a little chilly for us these days, so we took it upon ourselves to add a sprinkle of island paradise to the department’s holiday festivities. There’s no snow, sleigh bells, or stockings, but we did build the 3D beach hut, starry night sky, and palm tree! No word yet from the judges, but we hope Santa appreciates the coconut and cookies we left for him and brings us all we really want for Christmas this year—completed construction on our fantastic new lab!